The Best Stocks To Day Trade are stocks that have high volatility, meaning that they consistently move up and down, and high volume, both of which are necessary to quickly trade into and out of a stock. Day Trading is a generic term for a variety of different very short term trading strategies in which positions are opened and closed in stocks within a matter of seconds to within hours during a stock trading day. What makes day trading intriguing is that day trading strategies can be employed for just about any stock that has sufficient volume and volatility, which can result in quick profits for savvy day traders. Day trading strategies in which stock positions are rapidly opened and closed within seconds or minutes try to take advantage of the short term momentum of a stock to book a small trading profit. It does not matter if a stock is rising or falling, day traders who open and close stock positions within seconds or minutes are just looking to scalp a profit from the current direction of movement in a stock. Stocks can change directions many times during the same trading day. The Best Stocks To Day Trade when employing this rapid momentum trading strategy are high volume stocks that have a lot of participants making offers to buy and sell the stocks, which provides trading liquidity in the stocks. Another common day trading strategy is to trade the momentum in stocks that have current news stories associated with them that are moving the stocks either higher or lower. 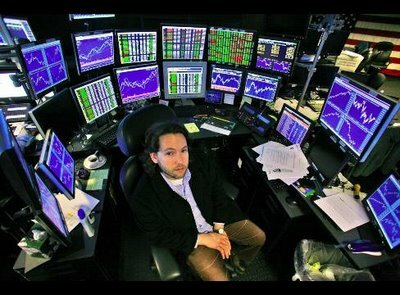 While day traders that trade into and out of stock positions within seconds will find these news driven stock moves attractive, this type of stock trade is better suited for day traders that are looking to open a position, hold it, and then close it within a few hours, before stock trading day ends. The Best Stocks To Day Trade when employing this news driven momentum day trading strategy are stocks that release exceptionally good or bad news that will attract buyers or sellers throughout the trading day, so a position opened early in the trading morning can be closed for a profit during the afternoon. Keep in mind that the Best Stocks To Day Trade are stocks with high volatility and volume, so day trades can be executed rapidly. Stay up to date on Best Stocks To Day Trade by getting on our FREE eMail list!